Each portfolio visualizes data from a variety of land-related indicators, enabling cross-country comparisons on maps, infographics and tables. The various indicators displayed on the portfolios are pulled from global indices, such as the UNDP's Human Development Index, FAO’s Gender and Land Rights Database, and OECD's Social Institutions and Gender Index (SIGI). The portfolios also showcase user-friendly infographics covering the Voluntary Guidelines on the Responsible Governance of Tenure and the World Bank's Land Governance Assessment Framework (LGAF). Land has held a central position throughout Kenya’s social, economic and political history. An estimated 75% of the country’s population depends on land for their livelihoods, making land ownership, management and control of critical importance. The country portfolio for Kenya provides a detailed narrative authored by the Land Development and Governance Institute (LDGI). This country narrative describes land reforms, recent sectoral developments, land legislation and regulations, land tenure systems and land use trends, as well as land investments, land conflict and historical injustices. Despite the achievement of Constitutional democracy in 1994, 'the land question' is at the heart of South Africa's struggles to overcome the cumulative legacies of nearly 350 years of white minority rule. The portfolio for South Africa features a narrative written by the Association for Rural Advancement (AFRA). This narrative also focuses on South Africa’s various land laws and regulations, tenure classifications, and examines barriers to legal recognition of land rights. Users can learn about South Africa’s land use and distribution trends and market-based as well as information on land investments. The portfolio further analyses statutory recognition of women’s land rights and whether recent tenure reforms have improved access to and control of land for women. Zambia has a bifurcated land tenure system that results from a legacy of colonial land administration. Under the 1995 Land Act, all land has been vested in the President, who holds it in perpetuity on behalf of the Zambian people. Yet customary land rights are recognized by the Act and several new initiatives aim at documenting these land rights to ensure tenure security for communities across the country. 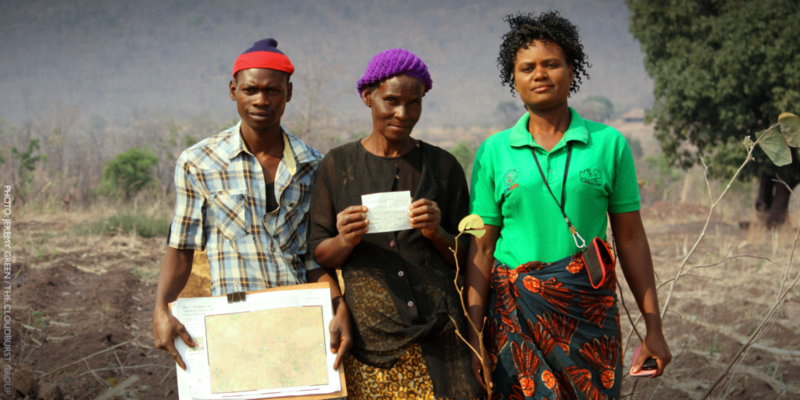 Stay tuned for a forthcoming online discussion Customary Land Recognition: Zambian Approach to Documentation and Administration, facilitated USAID’s Tenure and Global Climate Change Program, from January 15th to February 6th, 2018. With these three new portfolios, Land Portal and its local partners hope to raise awareness and draw attention to ongoing land issues affecting many parts of Africa and other regions. Now more than ever, it is of the utmost importance that access to land-related data and information be improved so that national laws, policies, and practices can effectively address land governance challenges. Ensuring responsible land governance is vital not only for achieving the Sustainable Development Goals but also for the long-term stability of our planet and its people. This work is supported by the United Kingdom’s Department for International Development (DFID) as part of the Land: Enhancing Governance for Economic Development (LEGEND) program, which is a DFID global program designed to mobilize knowledge and capacity for design and delivery of new country programs, improve land governance as an essential and inclusive basis for economic development, and strengthen land and property rights at scale. The Land Portal aims to improve land governance to benefit those with the most insecure land rights and the greatest vulnerability to landlessness through information and knowledge sharing. The Land Portal values multi-stakeholderism and partnership and works across stakeholder groups to promote participation in land governance. The Land Portal is based on open sources, open data and open content, and promotes open approaches with partners, seeking to catalyze and support greater sharing, collaboration and innovation in the land governance community. The Land Portal believes local ownership and encourages content creation and dissemination to take place through local partners, groups and networks, supported and facilitated by the Land Portal team.